Bethard is a young bookmaker with a lot of potentials. They started off a couple of professional gamers, who wanted to create something they are passionate about. So, they got together and founded Bethard. Now they are growing very fast and did not lose any dedication on the way. The team is dedicated to excellent user experience, and as former gamers, they know what their customers need. They offer an easy to use and well-designed website and a well-functioning mobile app, that allows us to bet anywhere and anytime. Bethard also has great odds and exciting promotions for new and loyal customers. And now they also offer Esports betting. They hit it off with many different games and exciting betting types for esports enthusiasts. Bethard might be still one of the newer faces in sports betting, but they are doing great and esports betting at Bethard could not be any more fun. We tested every little aspect of it and are more than happy. Bethard is serious about esports betting, and they provide a big variety of games to bet on. They are standing out in that field compared to many other traditional bookmakers. You can bet on Dota 2, Starcraft or Overwatch. But that is not all at Bethard you can place your CSGO bets, and you have plenty of options for LoL betting. The innovative Bookmaker does not stop there, they also offer bets on Heroes of the Storm, King of Glory and NBA2k. They cover many leagues and some tournaments that go beyond the most popular events. Bethard is focusing mainly on map bets for most of the games they offer. That means in a LoL, Starcraft 2, Dota 2 or other tournaments you can place bets on the winner of a particular bet. You can also bet on specific features of the map and on the performance of the team. Furthermore, you can choose a combination of map wins for your bet. For Counter-Strike bets you also have the option to place handicap bets, those are a little more complex but not less exciting. There might be some new options for esports at Bethard soon. Live betting means, that you can place bets while you are watching a match live. They also exist for esports bets, and they can make the tournaments even more exciting. 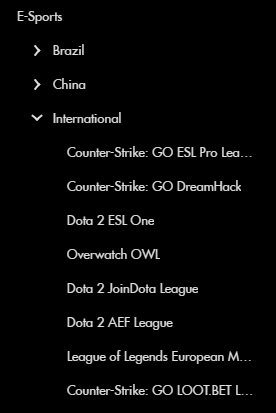 For your bets you can decide based on the actual actions the teams are taking in the League of Legends, CS:GO or any other tournaments. And this thrilling type of betting is also available for esports betting at Bethard. 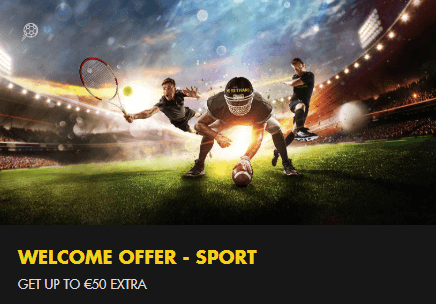 This bookmaker allows you to bet hard and that not only on esports but also on many other sports. Bethard offers bets on football, tennis, basketball, and other team sports. But you can also bet on darts, motorsports or boxing, and those are just some examples of the variety you can find at Bethard. They also give you the option to bet on fantasy sports and to play exciting casino games. Offered are not just slots and regular card games, you can also join real dealers at their live casino tables. If you ever need some variation from Esports betting at Bethard, they have got you covered with other activities. Well, Bethard was offering some of the best odds for the football world cup 2018, and they are aiming for the best odds in almost every field. That includes the odds for Esports bets. They offer pretty good odds for Esports and are improving a lot in that field as well. Keep your eyes open for great odds at Bethard. Bethard wants you to start the right way, and therefore they offer a generous welcome bonus for new customers. You can get a welcome bonus of 100% up to 50 Euros on your first deposit. The bonus can be used anywhere at Bethard, and that includes esports betting. It is not a special bonus for Esports bets, but you can use it entirely for them and bet your 100% deposit bonus on League of Legends and other games. Just keep in mind that some terms and conditions apply when you use the bonus. So far there are no welcome bonuses that are just dedicated to esports betting at Bethard, but who knows what they will come up with in the future. Bethard lets you choose between various payments methods for your esports betting, and they make it easy to deposit and to withdraw funds. For your transactions, you can use credit cards like Visa and Mastercard, the secure Paysafecard or e-wallets like Neteller or Skrill. You also have the option to make payments with Trustly and Zimpler. You will enjoy the fast and uncomplicated way in that payments are handled at Bethard. And if you ever have a question, you can contact their customer support.